My 9 Favorite Dutch Oven Recipes — Stevie Storck Design Co. I wouldn’t say recipes have ever been a big topic on this blog. But I tend to write about interior design and whatever home-related topics are capturing my interest at the present moment. And right now, home cooking is a big one. In line with the values I shared in my post on intentional living , I’ve been focusing on learning to cook more with whole foods from scratch. Anthony got me this dutch oven (affiliate) for Christmas last year and it’s become my favorite thing to cook with, although just about any of these recipes can be made in a stock pot too. We don’t have any particular diet we follow, more just everything in moderation. We are trying to eat less meat, so I’ve been making a lot of vegetarian meals lately. Not all of these recipes would be considered “healthy” but in general they make healthier substitutions (like greek yogurt instead of cream, etc.). I don’t worry too much because portion control is more important and sustainable for me than eating just steamed vegetables and chicken breast all the time. But I will say I’ve lost a significant amount of weight in the last couple of years and I attribute that to changing my lifestyle to cooking more nutritious meals at home instead of eating out and eating smaller portions. So whether you are trying to be healthier, save money by cooking at home or live more sustainably by eating less meat, I wanted to share some of our favorite recipes that I find myself making again and again. click any of the images above to go to the recipe page! Italian Orzo Spinach Soup: This soup is so yummy and easy to make. If you use vegetable stock instead of chicken broth, it’s' vegan too! If you want to add more protein, this would be great with rotisserie chicken. Potato Soup: This is a great recipe to have on hand when you haven’t been to the grocery store in a while and need to make dinner appear out of the dregs left in your pantry. Or you can fancy it up with bacon or ham or any of your favorite baked potato toppings for loaded potato soup. Split Pea Soup: I’ve always loved Split Pea Soup but I didn’t realize until now just how simple and easy it is to make. You can make it with or without ham. Next time, I think I’ll try substituting potatoes for the ham to make it vegetarian but still add some texture. Red Lentil Masala: My favorite thing about this whole vegetarian kick we’re on? I’ve been learning to make Indian food! I love the flavors of garam masala, so it’s been well worth investing in a bottle. 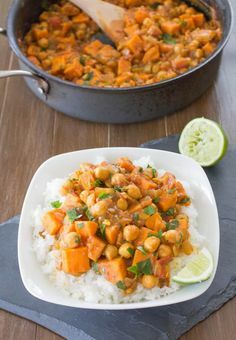 Chickpea & Sweet Potato Curry: The author of this recipe describes it as a fusion of Indian and West African cuisine, but it has a lot of the same ingredients and methods of the other curry recipes I’ve been making. It’s vegan and delicious! 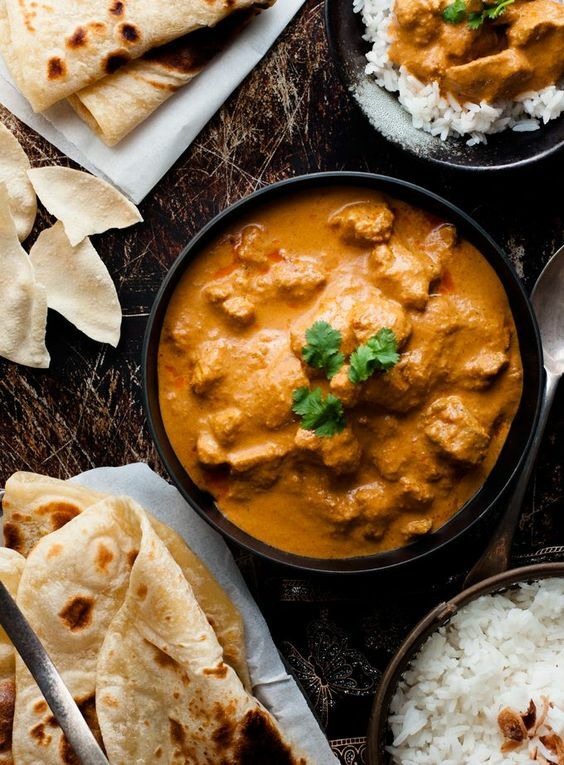 Indian Butter Chicken: If you only make one recipe from this list, let it be this scrumptious butter chicken. The author of this recipe was the first one to tip me off to the fact that when Indian recipes call for chili powder, they mean cayenne pepper, not what we call chili powder here in America. I don’t like things too spicy so I reduce it to 1/8 tsp of cayenne and it’s the perfect amount of flavorful but not too fiery. Orecchiette Pasta Primavera: Ok, this is another top contender! This is a one pan pasta dish and the trick is cooking the orecchiette in broth along with the sauteed veggies instead of water. So much flavor without any sauce! This is a great technique to use with any pasta and any veggies you have on hand. Sunday Pot Roast: What’s a round up of dutch oven recipes without traditional beef pot roast? I don’t make this very often but when I do, Anthony is one happy camper. Tomato Soup: Tomato Soup is another thing I didn’t realize was so easy to make, especially if you have an immersion blender! (affiliate) I like to caramelize my onions first to give it the soup even more flavor. 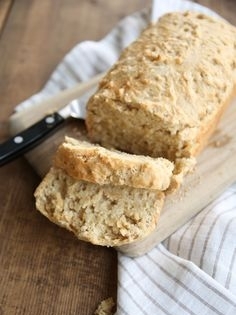 And what goes better with soups, stews and curries than bread? I got really into cooking yeast bread while I was pregnant with Sage but since she’s been born, I’ve mostly stuck with this delicious beer bread. It’s so quick to whip up and is DELICIOUS. For Indian recipes, I’ve experimented a bit with making chapatis and naan but I’ve had the best luck with this simple flatbread recipe. It takes some time and practice to make, but is so so yummy! click the images above to get the recipes! If you’re interested in more recipes, you can find my favorites on my HOMEMAKING : recipes board on Pinterest! Do you have any favorite Dutch Oven recipes to share? Comment below with the link, I love trying new recipes!